In a sharp demand, the People’s Research and Training Centre (PTRC), the Vadodara-based NGO working on occupational health issues, wants the Government of India and Government of Gujarat to come up with an amendment in schedule III of the Employees’ Compensation Act, in order to include polyacrylate and musculoskeletal in the list of occupational diseases. 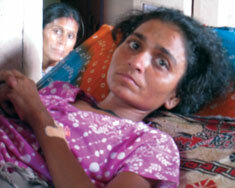 In separate letters to the Gujarat labour minister and director-general, ESI Corporation, Jagdish Patel, who heads PTRC, has said that while polyacrylate is a serious lung disease rampant among Gujarat’s pharmaceutical and cosmetic industry, musculoskeletal is a debilitating injury to millions of workers in a wide cross-section of occupations, against which workers of a state-based car manufacturing company represented before the National Human Rights Commission (NHRC). Patel says, he had earlier written to the state labour minister and the director-general, ESI Corporation, about this, yet there is “no response”. “Decent work – work with dignity and safety is being promoted by the International Labor Organization. Safer and healthier workplace is one of the important human rights for working population. The Indian state is striving to provide legal protection for safety and health for millions of workers. Still we have not been able to provide legal protection for protection of health and safety at work for millions of workers in organized and unorganized sectors”, the statement adds.